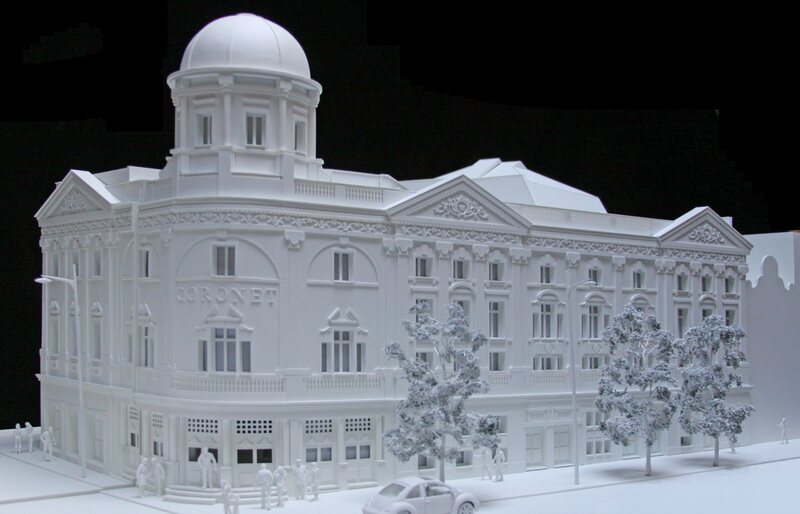 Studio Indigo is delighted to present the recent model of the Coronet which has been commissioned to improve the communication of our design intentions to the general public and planners. The model was produced in Portugal, by the company Maquetes de Arquitectura, over a period of almost 3 months before being safely transported to the UK to be displayed. 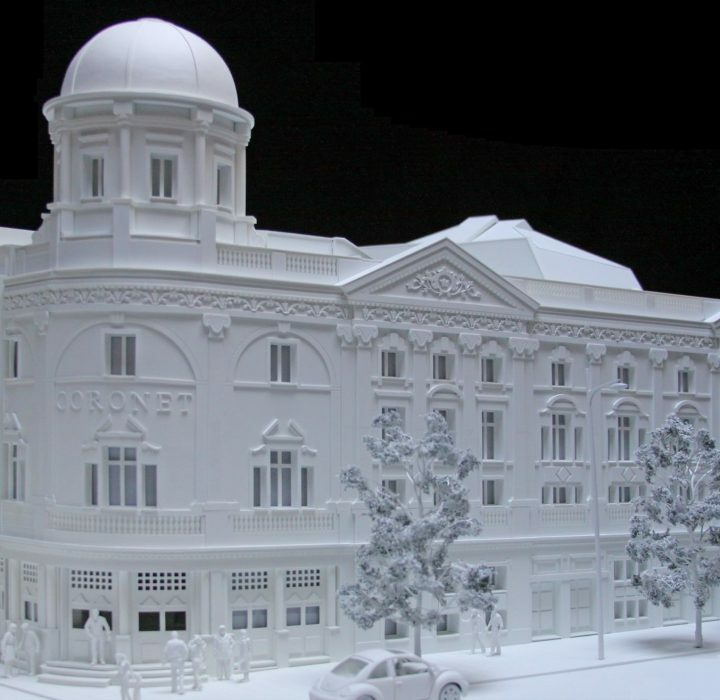 The result is a detailed replica of the building which highlights the beauty of its most interesting features as well as the complexity of the space. Following the initial brief, all of the proposed elements have been created separately and can be added to the existing structure or omitted to suit. This particular aspect gives the flexibility to alter the proposals as the design develops and to add new items at a later stage. So far, the overall feedback has been incredibly positive as the model allows people to engage with the building and the proposals in an intimate and visual way.